What kind of exhibit display is best? The best design for your business is the one that meets your needs and helps you accomplish your goals. All designs and custom exhibit displays are built to manage traffic flow and attract attendees, so choosing what’s best for you all boils down to selecting the one that meets your needs. Gilbert has years of experience helping clients select their best custom exhibit design. How should graphics, messages, and designs be approached? A successful custom exhibit is well-designed and decorated. When adding graphics, posters, images, and other designs to your trade show display, you’ll want to make sure your marketing is on brand, persuasive, and noticeable. 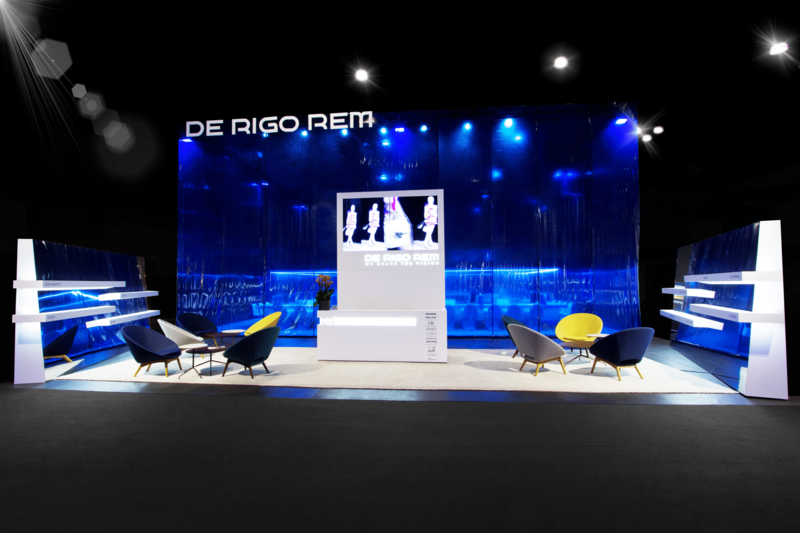 How does color impact the overall design of a trade show booth? The way our minds perceive color is more important than you may realize. Color affects trade show attendees on a subconscious level. The right colors will attract visitors to your custom trade show booth and tap into emotions that encourage buying. The colors that are ultimately used in your custom booth design depend on your objectives and your brand’s story. For example, reds can create excitement and passion. Greens can cultivate a feeling of freshness. Blue relays trustworthiness. And black and silver offer an upscale, sleek vibe. Gilbert’s design team helps our clients through a selection of colors that’s fit for them. What products or services should be mentioned in our exhibit design? While it may be tempting to showcase every product or service you offer, know that less is more. Trade shows are busy, so you want to focus on your primary product or service. If you have several products or services you’d like to showcase, you may want to attend multiple trade shows, so each product or service has an opportunity to shine. Working with a custom display company such as Gilbert can help you through the prioritization process, and our expertise will ensure you enjoy a significant return on investment.